Salesforce Campaigns are one of the most under-utilised objects within the standard out of the box Sales Cloud product. In fact the majority of implementations that I’ve come into, I would probably say the Campaign object has a grand total of 0 records associated to it! A few reasons that could be attributed to this is lack of education, and the fact that there is no obvious business reason to use the object straight away. Salesforce Campaigns are in fact an extremely powerful and underrated way to link together your marketing initiatives, and the leads/opportunities that are generated as a result. You will be able to track prospects from the moment they enter the system, all the way through to the opportunity, whilst measuring their progress and value against a specific campaign. One of the biggest mistakes is actually trying to retrofit the functionality of Campaigns into the Lead Source field. If you are like me and have seen many an Org throughout their Career, I can almost guarantee you have seen a Lead Source field that looks a bit like the image on the right. This is a pretty quick fix to be able to attribute a Lead to a certain Lead Source, and to some degree it does work! However, it is very much not best practice, the Picklist field should be used for high level values such as Tradeshow, Partner or Customer Referral. There are a few reasons for this..
– Lead Source fields can become very hard to manage and difficult to use if every event or newsletter is added onto it. I’ve seen Lead Source fields with 50+ values! – You cannot attribute multiple Lead Sources to a single Lead. If they were sent multiple newsletters and many events, this can’t be effectively captures within one field. Campaigns allow for multi-touch attribution. The Campaign Members functionality is at the core of what allows you to connect your Leads & Contacts to specific Campaigns. For those that like to get technical, I’ve included an image from the schema builder. Campaign Members is a funny little junction object that allows you to connect multiple Leads and Contacts to many different campaigns, the Campaign Members object itself is a child object of Campaigns. You can add members into the campaign through searching, importing a file and various other methods, as well as noting down their response to the campaign. This on it’s own isn’t too helpful, but combined with email tools and Campaign Influence (Next section), you have a marketing super tool! Campaign Influence is an amazing automated tool that allows you to see the influence that individual Campaigns have on an Opportunity. The general principle is that if a Contact is assigned a role on an Opportunity, and that Contact has also had a recent involvement with a Campaign, Salesforce with automatically associate the Campaign with that Opportunity. This gives you a big picture view of the Campaigns that have had the most influence over an Opportunity. Campaign Influence can be setup with various parameters in mind such as setting a timeframe where a Contact can be associated to an Opportunity, you wouldn’t want a new Contact being associated to an Opportunity that had been open for months! This auto association brings effortless advantages connecting your Campaigns with open Opportunities. As I mentioned at the start of this post, one of the greatest advantages with Campaigns is the reporting capabilities. The data that Campaign Influence is collecting automatically is invaluable. By knowing the different opportunities that are related to each campaign, we can tell the total number of opportunities that have been created, the value of all open opportunities, the number of closed won opportunities, as well as the value of the closed won opportunities. This type of data enables the marketing team to see which Campaign are effective and exactly the output that they are producing. There is so much data that can be driven from these numbers, including where any gaps in the process are. Maybe Marketing are generating the Leads, but Sales are just not closing them, or maybe its vice versa? 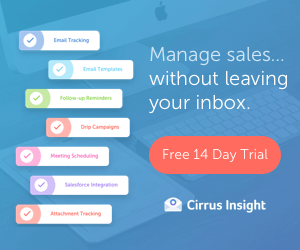 Salesforce Campaigns can be used to extreme effect on their own, but when paired up with a powerful Email marketing tools, we can take automation to the next level. The general principle behind combing Email Marketing tools with Salesforce/Campaigns, is that you can build list, segment data and send out email campaigns, directly from within Salesforce. This can be so seamlessly tied together, that the list of Leads/Contacts you build can automatically be transferred into Campaign Members, the email can be sent out to all of them AND their status can be automatically updated (Responded, Opened etc). 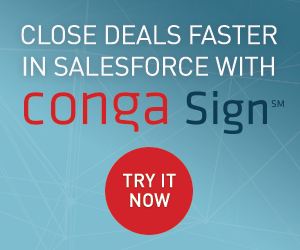 Some of this functionality is evident with tools like Pardot, Campaign Monitor, Mailchimp & Dotmailer, that all have their own Salesforce connectors. Google Analytics 360 & Marketing Cloud Integration is here! Salesforce GDPR Sprint (Part 2): How to manage GDPR Data Requests. Are you GDPR-ready when it comes to your Salesforce Backups? I agree with you…Campaigns are very helpful in tracking performance and give a different lens that just tracking by lead source. They’re also a great place to keep records of the details, budget, of a marketing program. These details can blur over time if they’re not tracked properly. Thank you for the great post! Great stuff Ben. The campaign member is an invaluable object that should definitely be leveraged in a data-driven business! Worderfur article about salesforce, how we can plan a salesforce campaign and it defines our work performance. Nice Post.. 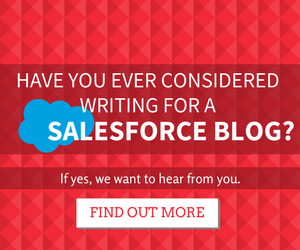 Useful tips to use salesforce campaign effectively..
Good post. I’m pretty new to Salesforce. One question I have is how do you know which campaign someone belongs in? Let’s say someone fills out an inquiry form. We have no idea where they came from. How do we know which campaign to put them in? I’m not connected to this post, but you can designate a campaign on a web-to-lead form, or a donation form (in our case) has a campaign that it connects to. If you used another form you could create a process builder that tagged contacts who filled out that form into a certain campaign. I have a “web sign up” form for those people who found us online with no prior engagement that we know of.